M&R's customer service, technical support, and parts departments are superior in every way. 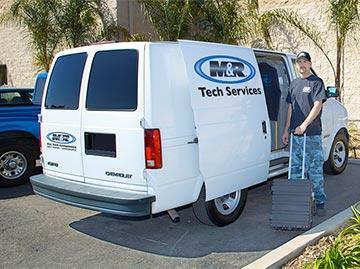 M&R technicians are the most highly-skilled, best supported in the industry, and M&R has more of them than any other manufacturer of screen printing equipment. Service Central is M&R's computer-based knowledge and dispatch system. It's based on the nationwide 911 approach to requests for assistance. Its database combines M&R's vast array of technical documents; each technician's skill and familiarity with various pieces of M&R equipment; and the physical location of every M&R field technician. This ensures the fastest dispatch of the technician best-equipped to respond to your needs. Service Central system keeps track of every piece of equipment M&R sells. Every maintenance visit (including the specific maintenance performed) is recorded, as is every repair procedure and every part installed. Technicians can even upload photos and videos to assist technicians on future visits. Not only does this database help keep equipment performing at peak levels and speed and simplify future maintenance and repair, it helps keep the resale value of M&R equipment the highest in the industry. M&R's exhaustive technical knowledge database is unsurpassed in the industry. It includes user manuals and repair guides on M&R equipment, as well as details from component-makers' proprietary manuals that aren't available to other repair services. And M&R's knowledge database also includes white papers on specific maintenance and repair procedures. No other technical service department is so well positioned with the materials necessary for fast and complete repairs. M&R has the most highly skilled technicians in the screen printing industry. They receive extensive training on M&R equipment and best practices regarding periodic maintenance and machine repair. Email bulletins and annual workshops keep technician knowledge and skills up to date. Authorized service on M&R equipment is available only from M&R technicians. No other repair service has the depth or breadth of knowledge and skill found in M&R's Technical Service Department. Only M&R provides 24/7/365 service. 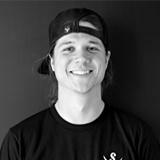 No other screen printing manufacturer does that. M&R is committed to being where you need us when you need us. M&R has over 50 field technicians in the United States alone. Other manufacturers have just a few. That means faster response when it comes to keeping customer equipment in top shape—or in getting it back up and running quickly. Finally, M&R Technicians back their work with genuine OEM parts. With other repair services, you don't know what you're getting. And only M&R maintains a vast warehouse of replacement parts and supplies, ensuring the right part will be available when you need it.